In August 2017, creative designer, strategist, and design lead, Parklins Ifeanyichukwu popularly known as IC Parklins, called it quits as the lead designer for African Music Industry giants, Chocolate City. The ambitious entrepreneur who has worked for 6 startups in Nigeria and the UK, launched Lupark Design Company, today. In recent years, the number of Micro, Small and Medium enterprises in Nigeria has been on the rise. In 2010, MSMEs totaled 17.2 million, which doubled in 2013 by a 100% at 37 million. This sum has since then multiplied, as even more entrepreneurs have continued to spring up in the West African Nation. Unfortunately, these companies tend to liquidate in an even greater pace than the business was established. A high rate of Micro, Small and medium enterprises crash and burn within their first year of business. If MSMEs Are So Important, Why Do They Crash So Easily? The 20 year old entrepreneur stated that the importance of Micro, Small and Medium Enterprises in the economic development of Nigeria, is one that cannot be overly emphasized. Their pivotal role of creating jobs had long cut into several pathways such as significantly improving the standard of living, driving innovation and competition, and symbolically contributing to the national GDP. While the mention of branding in the endless list of challenges faced by startups has just quite never stood out, Parklins went on to explain that these startups often ignored implementing strategies that would set their businesses apart from their competitors. And on very few counts when they did, little value, time, and attention was placed on the visual identity of the brand. “The visual identity of any entity goes a long way in ensuring sustainable growth for that company. This would include the company’s logo, color, copy ad, and live application. Everything a customer gets to see is about design. Billboards, fliers, Facebook, Instagram, etcetera. The job of a designer, is then to interpret the business value in a manner that leaves a compelling impression on the consumer” He said. While Nigeria and Africa as a whole are yet to fully exploit this strategy, small businesses in the UK, US and other first world countries are already utilizing this method to advance growth, and yield huge returns on their investments. “An effective design generally has a positive effect on sales, and this is what Lupark offers when you do business with us” the CEO quipped. With designers, strategist and developers based in Lagos, Nigeria, Lupark is a result-driven design company that builds exceptional creatives, and compelling experiences through research, branding, graphics design, art directions, compelling user interface/experience, and product development; primarily focused in helping African startups, brands and organizations build world class products. 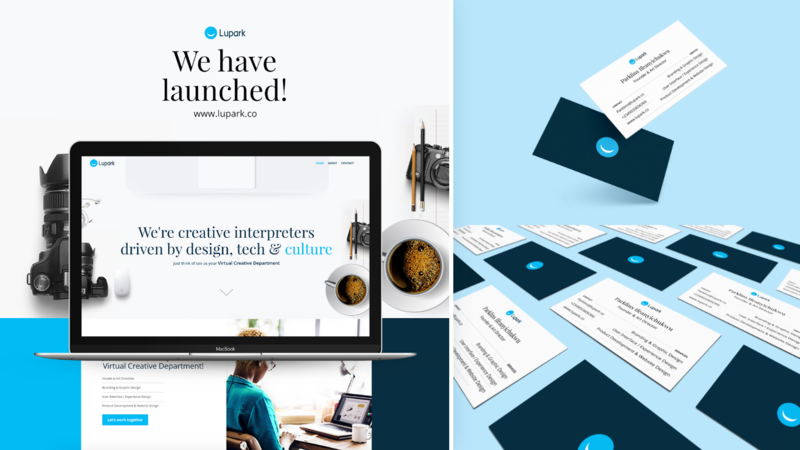 It is from this need that Lupark is conceived; to provide commendable marketing strategy, brand voice, and visual identity for startups, so as to solidify their scalability existence in business. “It’s not just another design, website, or product with us. It’s the future of your business that becomes our focus” He says. As Lupark launches today, it is evident that the entity has come to stay. The creative industry is certainly the hope of micro, small and medium enterprises in Africa. Visit www.lupark.co to learn more about them.